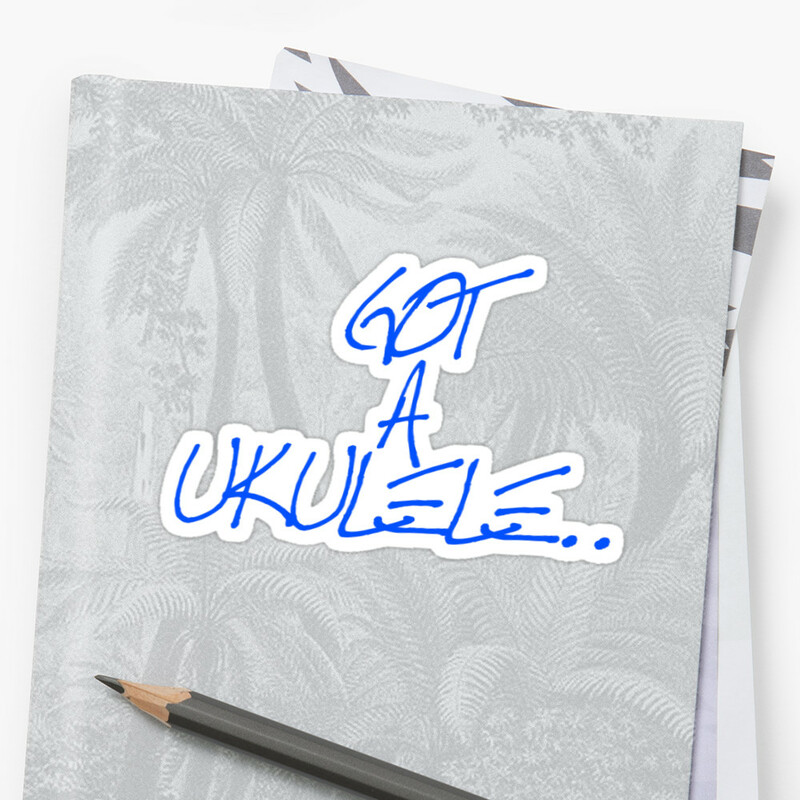 More than four ukulele strings? 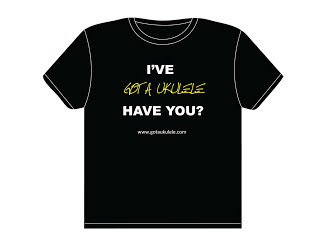 Hang on you are saying - MORE than four strings on a ukulele? I'm only just learning to play the four I have! 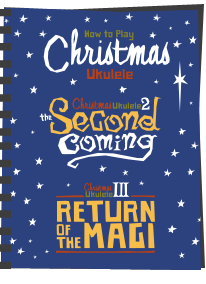 Well, as you go on a hunt for different sorts of instrument you may well come across ukes with more than the normal four strings. I thought I would give you some explanation on that. 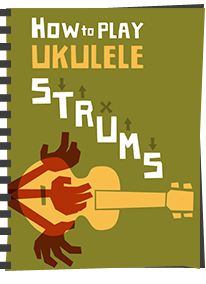 You will commonly find ukuleles with either six or eight strings, and to further complicate matters, the six stringers come in two distinct types. The first type of six stringer is where the extra two strings still play in "four courses". But what does that mean? Well the four strings on a normal four string uke are known as the four courses. 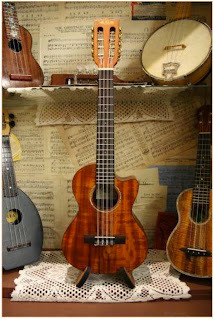 A six string uke with four courses means that there are an additional two strings that are tuned the same as two of the standard four (meaning that there are a total of four main notes on the instrument). This gives the ukulele a richer more harmonic sound because of the interplay between the strings. The most common strings that are paired are the first (A) and third (C) strings with the extra A tuned the same as the standard A, and the extra C either an octave above or below the normal C. Some people do however experiment and there are a whole variety of tunings. 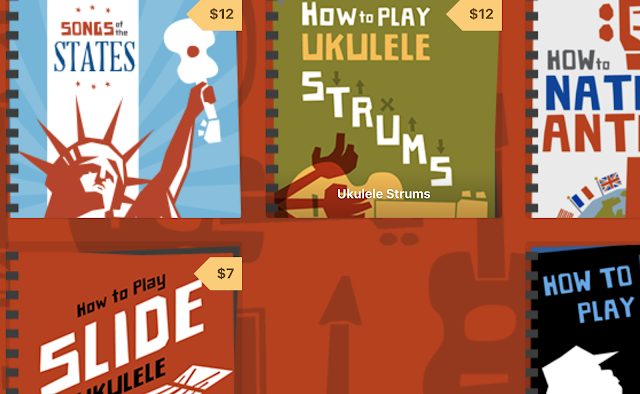 The other variety of six string ukulele uses six strings over six courses (much like a guitar) and is commonly tuned like a guitar at the fifth fret, i.e. ADGCEA. These are usually called guitarleles and one of the first I saw was introduced by Yamaha. 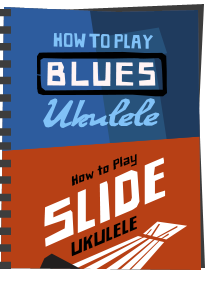 The guitar ukulele isn't created to give that harmonious shimmer that the six and eight four course instruments provide, but really just to add some extra note options and give a guitar like feel to the uke player. 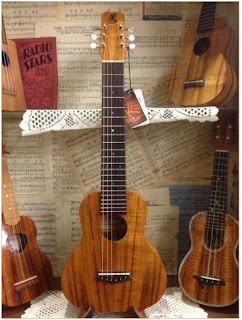 The eight string ukulele is most commonly made in four courses, so with four additional strings tuned to the same notes as the standard four string instrument. The most common way is to tune the two G strings an octave apart, the two C strings an octave apart, and the two E and A strings at the same pitch, but again, people experiment with this to find their own sound. The eight stringer is a common instrument seen in Hawaiian bands and adds a real shimmer to the sound. Beyond that of course there are loads of variations on the theme. Ohana make a five string tenor for example with an extra G string giving the uke both a low and a high G. In short - you don't have to be restricted to just four strings! And don't forget the eight string tahitian ukuleles... ;) They're big fun, especially when strummed fast! I have a wonderful Koa guitar that I usually play, but I've always wanted to try something smaller. Recently, I was given a Yamaha guitarlele for my birthday ... I've slacked it down to Keola's C and it sounds great! 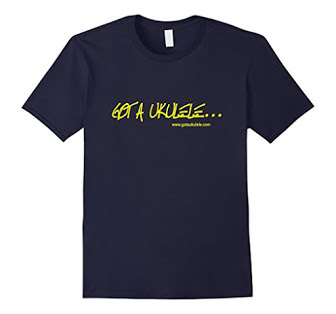 So, the guitarlele with its 6 strings is a great option for Kiho 'Alu players.